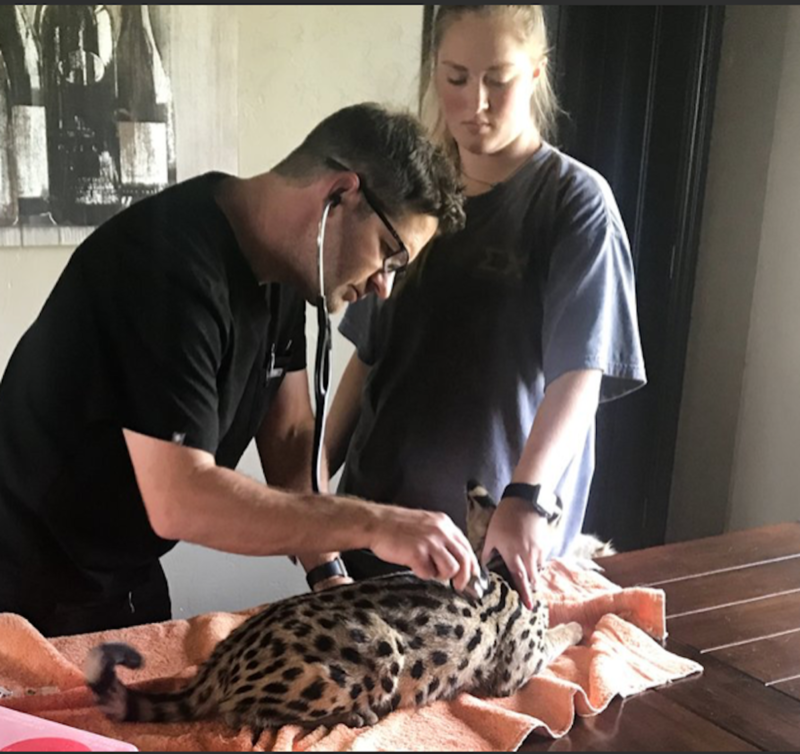 Pet Insurance is really about being prepared for when your Savannah cat needs to see a vet. Pet owners want to make sure they have the best resources and care available and pet insurance can make that reality. New research from ConsumersAdvocate.org shows exactly what types of pet insurance is the best and provides helpful information on figuring out what pet insurance company is best for you and your Savannah pet. Whether it’s a couple of stitches for an injured paw or potentially life-threatening conditions, pet insurance provides cat owners with the peace of mind knowing that they can provide for their cat in a time of need. It’s true that pet insurance may cost you $38-70 per month, but it covers a significant portion of vet bills that can cost up to $5-$10k! Most of us can agree that we can find ways to cut back on monthly expenditures to ensure that we have the means to provide for our sick cats in times of need. How to Choose your Pet Insurance Plan? It's not fun going through insurance plan options trying picking the right plan for you. Understanding what factors to consider when choosing your insurance coverage is an important piece to making sure your Savannah cat has the right resources to live a healthy life (and that you’re getting what you pay for!). The amount of coverage is one of the most important factors to consider when selecting pet insurance. Savannah owners require a plan that has extensive coverage with few exclusions. As responsible pet owners themselves, the team at ConsumersAdvocate.org did the research to make sure pet owners are as ready as they can be for the unexpected. Typically, there are three types of coverage: comprehensive (covers accident/illness), accidents only (covers only accidents), and wellness coverage (covers preventative care). The most common choice amongst pet owners is the comprehensive package for its affordability and extensiveness in terms of coverage. Beyond the coverage types, the research team at ConsumersAdvocate.org suggests that the second most important factor to consider would be the benefit limits. Some plans will provide unlimited lifetime benefits, others will be capped on an annual/lifetime amount, and several are on a per-condition basis. Veterinary costs are historically trending higher, so a plan without an annual cap is the way to go these days. The last things to consider are deductibles and reimbursements. This plays a key part in your monthly rate. Higher deductibles would translate into lower payments per month. The types of deductibles pet insurance can offer you are the annual, per-condition lifetime, and per-condition annual deductibles. There are also three main types of reimbursements a pet insurance company may offer you. Actual Cost means your insurance will pay you back a percentage of your Savannah’s medical bill after you have paid off your deductible. Plans that offer actual cost will give you several different percentage options to choose from. Benefit Schedules states when your pet insurance coverage will be paid back depending on the illness/procedure. Lastly, there is also the Usual and Customary, which has become less popular over the years. This reimbursement is dependant on the procedure but also considers your geographic location. Picking a pet insurance coverage for your Savannah is a very important decision that can save you thousands of dollars and protect your pet. Make sure you do the proper research to find what is best for you. Click on the pictures or the hyperlink to learn more. Have you tried everything already, but still could not keep your dogs away from your cat’s litter box? You are in the right place. When you own dogs and cats at the same time, for some reason your dogs keep playing with cat poop. It is disgusting and bad for your doggo’s health. Science says dogs eat cat poop because they are drawn to the protein content in the poop. It also suggests that a lack of proper nutrients in the dog’s body may be the reason behind this irksome behavior. Whatever the reason may be, we must put a stop to this behavior, so that your dogs can stay healthy, and your cats can have some privacy. Keep on reading to know all the tricks and tips to get your dog to stay away from cat poop. If they listen to you, give them a treat. If they disobey, say it again, but louder. Dogs don’t need to understand your vocabulary; they can sense your command. It may not work out for the first few times, because your dog is new to the command. But it will catch up with you soon enough. Just keep repeating it. Your dogs may be drawn to your cat’s private business out of sheer curiosity. When they have nothing to do, they would rather eat and play with cat poop. To avoid this situation, you must keep your dogs busy with other healthier options. Keep them busy with toys and games. Give them things to do, so that they won’t get bored and start looking for weird stuff to do. Indoor fences outside the room cats poop can prevent the dogs from having access to that space. There are a number of indoor fences available online. Find the one right for your dog’s size, height, and temperament. When you purchase them though, make sure the space between the bars are wide enough for cats to get through, but narrow enough to prevent dogs from getting through. Contrarily, you can install a small door in the bathroom door, so that your kitties can access the bathroom, but not your dogs. One fine way of preventing dogs from eating cat poop is by cleaning the litter box as soon as possible after the cat’s done with its deed. If the litter box is clean, dogs won’t have a reason to go near it and eat the excrements. By doing so, you also prevent the nasty poopy smell from spreading all over the house. If cleaning every time is impossible, you can invest in self-cleaning cat litter boxes that will clean and refresh the potty by itself. These days you will be able to find cat litter boxes that come with lids. The enclosing property of the litter boxes blocks the poopy smell from taking over the house. More importantly, these dog-proof litter boxes prevent dogs from accessing the litter box and gives your cat the privacy it needs. They may have self-cleaning properties and odor-preventing features built in. Some of them have see-through layers so that your cat doesn’t feel claustrophobic or trapped inside the box. Another way to prevent your dogs from eating cat poop is by getting them stool deterrents. They are specially manufactured for dogs that cannot stop eating cat poop or other dog’s poop or their own. You don’t want to kiss your dog once it has had its mouth in poop. Hence, investing in stool deterrents will be beneficial for you and for your dog, as some of the products have ‘fresh breath’ features to freshen up their mouths. On the other hand, stool deterrents designed for cats can make their stools unattractive for dogs, so that they would stay away. In order to keep your dogs away from cat litter, you can add some black pepper or hot sauce in the litter mix. Dogs would hate it! Whenever your dogs get near the cat poop, the smell of hot sauce and pepper will repel them. This is a surefire way to make cat poop unattractive for dogs. Your dogs are most likely expressing interest in cat poop because of the nutritional value it provides. This is happening because your dogs are not getting enough nutrition from their current diet. If this is so, it’s time to change the dog food. Check the ingredients labeled at the back of packages, and determine which ingredients your dogs mostly need. Your veterinarian can help you understand this. Upon switching their dog food, make sure you portion their meals properly every day. You can give them human food as well, but with your veterinarian’s permission. Having dogs are so much fun. They have their own personalities and temperament, and they keep your life exciting all the time. Come to think of it, have you ever thought you will be researching about preventing your dogs from eating cat poop? No, right! But here you are, learning as much as you can about your lovely canine family. Furthermore, the tips up here are not even as challenging. In fact, they are quite fun! So, all the best wishes. Shawn is a content writer at FeedFond. He’s a doting father not only to his two children but also to his two Golden Retrievers. Check out more of his articles atFeedFond.com. A Savannah cat is more than just a fun-loving fluff ball who makes coming home from a hard day at work a little easier. Owning a Savannah cat can make your life better and your body healthier. Cat ownership could even protect against a variety of diseases. Here are 10 reasons your Savannah cat might be the best thing you do for your health. Having a cat gives you an instant connection to other cat lovers. You have an easy source of small talk and amusing stories, which can be a great ice breaker at parties or even in job interviews. Lovers of Savannah cats are especially devoted. You can join message boards and play groups, using your cat as a way to connect with others. Because Savannah cats are rare, your cat also gives you an interesting anecdote to share at parties. People who have never heard of Savannah cats may be curious. This presents the chance to talk about cat breeds, wild animal preservation, and the unique joys of owning such a special cat. Stroking a cat for a few minutes can loosen tense muscles, offering some relief for both short-term and chronic pain. Chronic pain has a strong mental health component. Depression and anxiety can make the pain worse. Stress can make it hard to make good health decisions such as exercising and stretching. But cats can make it easier to lead a healthy lifestyle. Living with a cat is a powerful motivator that can relieve psychological pain and get you moving, thereby offering relief from physical pain, too. Though mental health and physical health are often talked about in separate arenas, the two are inextricably linked. Depression increases the risk of a host of illnesses, including heart disease and premature death. Poor mental health can also make it more difficult to make good health choices, such as quitting smoking and eating a healthy diet. Enter your cat. Like a savior for all aspects of your health, your Savannah cat improves your physical health by boosting mental wellness. Cats can help with anxiety and depression, improving mental health and helping you lead a happier life. Heart disease is the leading killer, and a major contributed to disability worldwide. Simply owning or petting a cat can reduce your risk of developing heart disease. And if you already have a cat, your pet could save your life by reducing your risk of dying of a cardiovascular episode. Cats bring in dust, dirt, and dander. Even indoor cats get dusty and dirty. That might seem like a bad thing, but it’s actually great for your health. Low-level exposure to allergens can help boost the immune system, reducing the risk of developing allergies, asthma, and similar health problems. The benefits are especially strong in kids. So if you want your child to grow up allergy-free, let them get down on the floor and play with your cat (with adult supervision, of course). Empathy is the ability to understand another person’s feelings. It’s a hard thing to learn. It’s also a skill that will benefit your child for their entire life. In fact, research shows that kids with empathy and social intelligence are more likely to succeed. Social skills, not intelligence, are ultimately what make or break a career. So what does this have to do with cats? Cats help gets learn empathy. If your child wants a good relationship with your cat, they have to learn to be gentle and read the cat’s cues. This is a lesson that will extend into your child’s relationship with others, propelling your child into a happy, healthy, successful life. Exercise may be the best thing you can do for your health. It lowers the risk of virtually every disease, from cancer to dementia, improves heart health, helps you be happier, and improves your body image. Yet many people struggle to get moving, especially after a long day at a demanding job. Savannah cats don’t get their owners any slack when it comes to the need to exercise. These intelligent, high-energy felines need lots of high-energy play. So rather than hitting the treadmill, spend some time chasing your Savannah cat. You’ll burn calories, improve your health, and have lots of fun. Everyone loves laying down and settling into blissful repose at the end of the day. Sleep is more than just a luxury. It’s vital to your health. It helps your brain process the events of the day, promoting good mental health. It can also boost your immune system and strengthen your overall well-being. Yet many of us struggle to get a good night’s sleep. Stress, busy schedules, and the constant distraction of phones keep many people tossing and turning all night. People who own cats sleep better, even if they don’t sleep with their cats. For people with insomnia or anxiety, though, a Savannah cat offers an additional benefit: stroking your cat as you fall asleep can help you fall asleep more quickly and sleep more soundly. Just as exposure to dust and dander can prevent allergies, it can also strengthen your immune system. It works like this: exposure to tiny quantities of dander and dirt activate the immune system. This helps the immune system learn to fight off infections and other invaders. Particularly in children, the tiny microbes in cat fur activate the immune system for a lifetime of good health. No antibacterial soap required. If you have a chronic medical condition such as epilepsy or COPD, your cat can be trained to get you emergency help. Savannah cats are highly intelligent and mobile. They also bond strongly to their families. This makes them the perfect choice to train as an assistance animal. Cats have saved lives by calling 911, waking someone from a seizure, and intervening as a person chokes. Your cat is more than just a friend. He or she could save your life. Ready to learn more about Savannah cats?Want to bring home a new member of your family? Contact us today for more information and a list of available cats! Click on the pictures or the hyperlink to read more about each topic or kitty. Bringing home a new Savannah cat is a little like bringing home a baby. You can’t be fully prepared until it happens, and the early days will be a flurry of activity—getting to know one another, snuggling, and adapting your lives to your new family member. A little preparation can make for a smooth transition, helping everyone bond more quickly. Here’s how to get your house ready for your new Savannah cat. Savannah cats are more similar to wild cats than a cat you might adopt at a local shelter is. So it’s important to have realistic expectations about how your cat will behave in the first weeks. This is a highly intelligent, very athletic animal who needs time to warm up to its new family. Knowing the filial generation of the cat you’re bringing home can help you plan. The lower the filial generation number, the more similar your new family member will be to its wild ancestors. That means these cats will require more exercise, more cat-proofing, and more time to warm up. Plan accordingly. If you’re planning a vacation or a work project, time them so that they don’t coincide with your new family member's arrival. Spending some extra time with your cat can help you bond. And spending long hours away can give rise to a destructive, anxious cat. It’s often helpful to bring your kitten home over a long weekend, then gradually transition back to work. A cat sitter or family member can help you ensure your kitten feels safe and loved when you’re not there. Lots of attention and exercise in these first weeks is critical, and this small investment will pay off for ears to come. Be completely safe—no dangerous plants or running water. Allow your cat some privacy. If small children or dogs can get to your cat, this space won’t work. Be accessible at all times. Your cat must be able to escape to this space whenever it wants. Give your cat freedom of movement. Don’t lock your cat in a crate and assume this is an adequate space. Your cat must have the choice to go to the safe space, and must be able to move around when it wants. If you have other pets, quarantine your cat for at least five days. This gives everyone time to adjust to one another’s smells without fighting or territorial issues. It can also prevent the transmission of potentially dangerous infections. Once the quarantine period is up, gradually introduce your cat to your other animals. Ensure everyone can easily escape, and reward good behavior. Don’t leave your cat alone with other pets until you have observed them spending many, many hours together. A well-exercised cat is a well-behaved cat. All cats become anxious and potentially poorly behaved when they don’t get enough exercise. Because Savannah cats are descended from wild cats, this is doubly true for them. In the early days, your cat might be a little suspicious of you. So don’t count on being its sole source of exercise. Find a safe area for your cat to climb and jump as you get to know one another. Then work together to bond through play. Even shy cats can’t resist chasing a feather and jumping. So encourage your cat to play with you. Wear your cat out with play and you’ll quickly be best friends. Cats feel most comfortable around familiar smells. So help your cat feel safe by bringing something from its old home to your house. Rather than using new litter or a litter box, try using the litter and litter box your cat had before it came to live with you. A blanket, favorite toy, or other item from its previous home can also help ease the transition. No matter how well you bond with your cat, it’s still an animal. Particularly in the early months, you should be cautious when your cat is around anyone it can hurt—especially small children. Do not allow a Savannah cat to sleep in a baby’s room, or to have unfettered access to rodents or other pets. Everyone in your family should have an area where they are safe from the cat. Perhaps most importantly of all, never allow small children to be alone with your cat. Savannah cats are a cross between domestic cats and wild serval cats. These medium-sized, large-eared African cats are beautiful and intelligent. When bred with domestic cats, they produce animals that boast the best features of both types of cat. They’re highly adept jumpers, displaying incredible athletic ability. They’re also deeply loyal. Some owners even compare them to dogs. 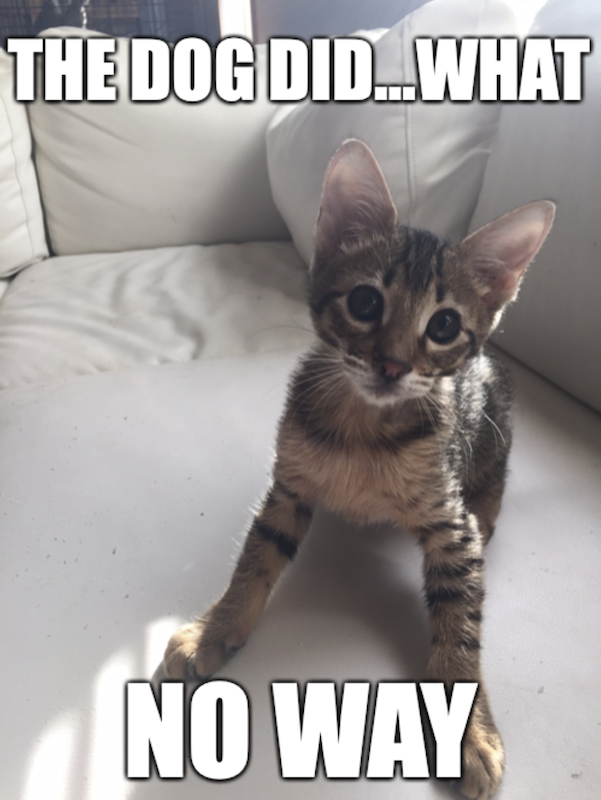 So how can you decide whether a Savannah cat is right for you? And which Savannah cat will fit in best with your family? These five questions can help you make the right choice. What’s your ideal cat personality? Cats of all breeds are known for their independence, their intelligence, their ability to bond with human caregivers, and their occasional tendency toward mischief. Every Savannah cat is an individual—a unique product of their genes and environment. You can learn a lot about a cat’s personality by looking at its generation number. Savannah cats are assigned filial generation numbers (F1, F2, F3, etc.) to denote how much wild ancestry the cat has. F1 cats have one fully wild parent. Later generations have less wild blood, and instead have wild grandparents or great-grandparents. F1-F3 Savannahs behave similarly to their wild ancestors. They tend to be larger, look more distinct from typical domestic cats, and make more demands on their owner’s time. They’re also likely to be a lap cat, and require more time and exercise. F4 and later generation Savannahs are more similar to domestic cats. They may still have some wild tendencies, but can be significantly more affectionate are easier to socialize and train. Why do you want a cat? What do you want to do with your cat? Do you hope to cuddle up on the couch and watch television? If so, then a lower generation Savannah cat might be the best choice. Are you hoping to lead an active lifestyle, and plan to train your cat to participate? Savannahs often enjoy family activities and outings. Do you have other pets? Small animals may be intimidated by higher generation Savannahs. Higher generation Savannahs may treat birds, rodents, and other caged pets as prey. They may, however, get along well with medium to large-sized dogs. Can you keep your cat safe? Savannah cats are acrobats who love to jump. If you live in a high-rise, you’ll need to secure the doors to your porch. People who live on busy streets must be proactive about keeping high-energy cats from roaming. Do you have children? How old are they? Young children may play too roughly with Savannah cats, and end up with scratches or even bites. Older children often fare better with cats. No matter how old your children are, you must be prepared to supervise them with your cat, and to teach both the cat and the child how to safely interact with one another. Do you have time to socialize your cat? The single most important predictor of any cat’s temperament is early socialization. You’ll need to expose your cat to dogs, children, other animals, and everything else it might encounter in its life during the first few weeks it spends in your home. The earlier the cat’s filial generation, the more socialization it will need. How much time do you have to spend with your cat? Being physically present: All cats are social animals. They don’t like spending long days alone. So if you work very long days or travel frequently, your cat might be happier with a companion cat. Make sure the two cats get along well, and have been heavily socialized to one another. Leaving two unfamiliar cats unattended is a recipe for fighting. If you’re not interested in another cat, you may need to hire a cat sitter. Training time: Earlier generation Savannahs need more extensive training. They respond well to consistency and a dominance hierarchy. This requires you to continually enforce the same rules, and to spend more time on training efforts. Playtime: Earlier generation Savannahs need extensive exercise. They like going on walks, roughhousing, high-energy games of fetch, climbing, and chasing. A few minutes of play won’t be enough. More domesticated Savannahs are lower energy, but crave time with their owners. Your cat may follow you around the house, or even try to shower with you. Consider how you spend your time, how much of that time you want to spend with your cat, and whether you can manage a life with an intelligent and needy pet. How do you want the cat to look? Higher generation Savannah cats closely resemble wild cats. F3 and later Savannah cats show significant variability in their appearance. You can’t predict how a cat will look—or how large it will be—based solely on its filial generation number. Please take look at our “past kittens” to see some examples of cats that we have previously bred. If your living situation requires a smaller cat, consider a lower generation cat. Although all cats vary in size, higher generation cats tend to be consistently larger. Can you fit a pet in your budget? Pets are a huge responsibility. From the initial cost of the pet to high-quality food, toys, scratchers, and most importantly great vet care. Making sure you can fit all of these things in your budget long term is something you need to consider before adopting any pet. A1 Savannahs is proud of our cats. As the founder of this breed, we know how special each and every one of our cats are. We carefully select the lineage of each cat and love them from the very beginning. They’re family. We’re committed to finding them loving and supportive forever homes whom we love to keep in touch with. We’re happy to discuss with you whether a Savannah cat is the right choice for your family.